One App Per Language or One App With All Languages? Is El Loco For You? Blog | One App Per Language or One App With All Languages? 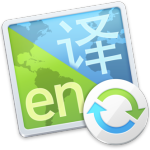 Because iOS and Android both display in the language selected by the user, it is preferable – and easier – to create one app with multiple language translations. Since the OS selects the display language automatically, a language selector in your app is also unnecessary. This choice of one app with multiple languages does assume that your app functions the same way no matter the language or market; so that the only difference are the items that you can group by language – text strings and possibly images. Only when you need to change the functionality of your app for a specific language market do you want to create a separate app; you may want to consider giving it a different name. The El Loco XTractor tool will examines the architecture of your iOS app and, if you desire, can re-arrange the code to meet the iOS rules for automatic language selection. © 2015 - 2019 El Loco LLC. All rights reserved. Thanks for downloading El Loco for OS X! Your download will begin shortly. If it doesn't, click here. Almost finished... Check your email for confirmation.